Anger is an energy and pain is contagious. When we hurt, we each have the capability of spreading poison throughout the world; when we love, we plant seeds of healing. The choice, of course, is ours to take - do we lash out when we are wounded, at our weakest, or look for solace, for green-shoots of hope, in love? Anyone familiar with Park Chan-wook's fabled Vengeance Trilogy will be familiar with the themes presented in Disney's Big Hero 6 - violence begets violence, revenge spawns nothing but wickedness. Fantastically, however, this charming animation presents these simple moral tales in a manner palatable for the whole family to understand and appreciate; the lesson need not be exclusive to those with a penchant for baroque, grotesque subtitled fare. Here we meet Hiro - a child prodigy and slacker, looking for a purpose in his young life and a means by which to apply his incredible mind. His is a life of robotics and technology, cogs, wires and sparks, an imagination where science and wonder work side-by-side to create whatever fantastical inventions flash into his brain. This gift, he soon realises, prepares him perfectly for a life as a student - at University he will be allowed the freedom to develop his designs and, ultimately, follow in the foot-steps of his brother Tadashi. Then, in a twist not unexpected by anybody familiar with the Disney brand, tragedy strikes. Already parentless, Hiro becomes an only child. Grief and depression take hold until help comes from an unexpected place - a giant, marshmallow-shaped robot, a care-worker designed by his deceased brother, awakens to offer Hiro assistance with the pain of a stubbed toe. Baymax's programming is aware that the young boy's suffering is much deeper than purely physical: "I cannot deactivate until you say you are satisfied with your care," intones the robot. His quest is not a brief one. 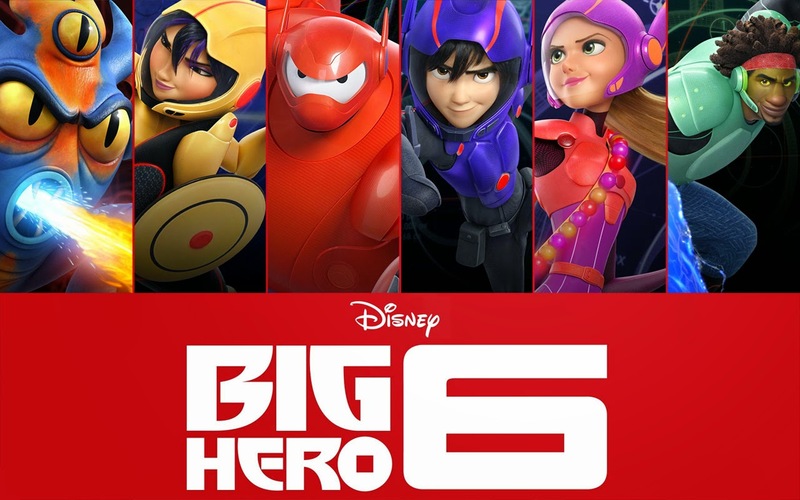 From here, Big Hero 6 develops into a true marvel of a movie - there are huge action sequences as Hiro's stolen inventions are used to wreak havoc, and there are belly laughs to savour from the antics of a robot who struggles in dangerous situations. "I am not fast," Baymax solemnly coos as his marshmallow legs trundle with no obvious immediacy. Baymax's attempts at fist-bumping show he is not particularly cool either. As Hiro and friends, ably assisted by a delightful Baymax, attempt to track down the masked bandit they believe to be responsible for the death of Tadashi, the film presents our hero with his biggest conundrum. Would murderous revenge really calm the anguish in Hiro's soul? Do two wrongs make a right? Big Hero 6 is a remarkable movie for a whole host of reasons. Science is cool and, refreshingly for a mainstream feature, so is caring. The heroes of the film are not machines of destructions or military snipers but, beautifully, scientists (who invent tools for healing) and a rather daft robot nurse. This is not a film about inflicting damage, but rather soothing it. Unlike Transformers or Godzilla, we're not asked to root for weapons of mass destruction but, rather, a loving care-worker. This is an honest film about true heroes, a treasure to behold.